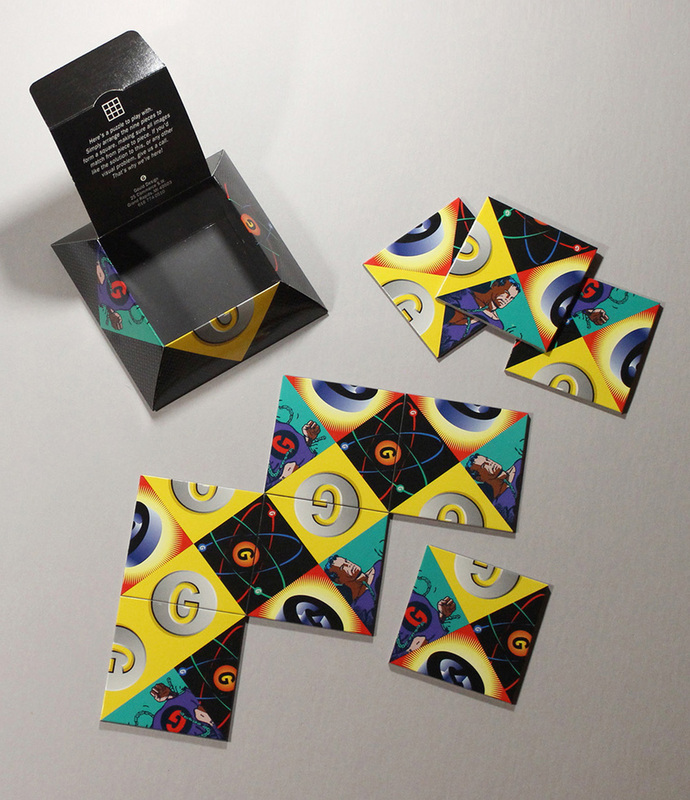 This self promotion enticed recipients to solve the puzzle because of its fun appearance and interactive nature. When it was discovered that the solution was more difficult than expected, contacting the studio offered the solution. Size w 5" x h 5" x d 1.5"
Techniques Package: offset printing, 4c process plus gloss lamination. Scored, diecut, folded and hand assembled. Puzzel: offset printing 4 color process. Laminated to chipboard. Diecut.